The year was 1997. The place, a little town in southern Utah called St. George. 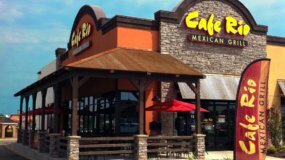 A lovely couple named Steve and Patricia Stanley started a restaurant called Cafe Rio Mexican Grill. 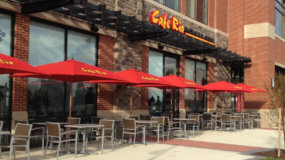 Cafe Rio served authentic dishes derived from inspired recipes and traditional cooking of Northern Mexico’s Rio Grande region, Southern Texas, and New Mexico. Central to every bite was the belief that every ingredient must be fresh and made fresh to order. And you know what? People loved it. They couldn’t get enough of it. So much so, that one restaurant became six. In 2004, these six little restaurants caught the attention of a fine gentleman named Bob Nilsen. 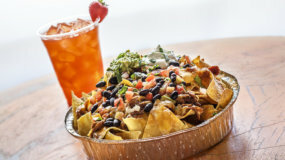 He purchased Cafe Rio from the Stanleys with the idea of spreading the love of making this fresh Mexican food to everyone in and around Utah and beyond. He made sure to keep the mantra of “fresh food, made fresh” at the very core of the brand. No freezers. No microwaves. Nothing premade. Our staff begins each day, bright and early, hand-squeezing limes, hand-scooping avocados, simmering sauces and preparing desserts. 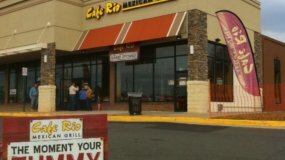 The crowds that line up at our over 100 Cafe Rio locations today, aren’t the only ones to take notice. We’ve won over 100 awards, from the Best of City Search and the Oxnard Salsa Festival to the Inc. 500 and the Alfred P. Sloan Award. And you know what else? We’re just getting started. Our executive team has over 100 years of restaurant industry experience combined. Working for such industry giants as McDonald’s, Sonic and Wendy's, we’ve learned many invaluable lessons about how (and how not) to run a restaurant. 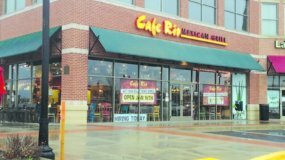 The talents of our executive team has helped grow Cafe Rio from six locations in Utah to over 120 locations across twelve states. And we don’t plan to sit back and rest anytime soon. 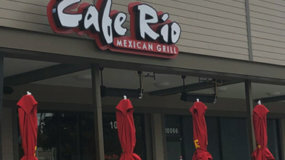 Steve Vaughan brings over 24 years of restaurant industry experience to Cafe Rio. After starting his career at the Big 4 accounting firm Ernst & Young, Steve spent the next 23 years at Sonic, helping to grow the brand to over $4 billion in system sales and, apparently, teaching people “how to Sonic”. In 2015, Steve tried Cafe Rio for the first time and it only took that one meal to convince him to join our team (told you our food was good). Steve graduated from the University of Oklahoma (Boomer Sooner!) and is a certified public accountant. When he’s not counting our beans (and burritos), you’ll find him traveling or running in Sugarhouse Park with his wife and daughter. Our Chief Operations Officer, Abe Hollands has been in the restaurant industry for over 18 years. And much of our success at Cafe Rio is attributed to his hard work and determination. Having worked his way up the corporate ladder at McDonald’s and Arby’s, Abe joined Cafe Rio in 2003 and became CCO in 2012. Although it may not seem like it, Abe does have a life outside of Cafe Rio, where he spends his time as a husband and father, cook, gym rat, gardener and obsessive car enthusiast. Todd Smith the CMO of Cafe Rio has over 12 years of restaurant experience. Todd has been blazing up the corporate ladder just as fast as he can climb. From being an executive with Yum! Brands, Wendy’s and Sonic Drive-in, to driving Sonic sales to a record $4.5B, in just a few short years. Now you see why we hired this guy. Todd graduated from BYU, and got his masters from Northwestern, however his heart beats with the Kansas Jayhawks, especially during basketball season. When Todd isn’t dreaming up genius marketing campaigns, you can find him buying killer Nike kicks, driving some sportscar or doing Snapchat filters at home with his wife and 5 (yes, 5) kids. 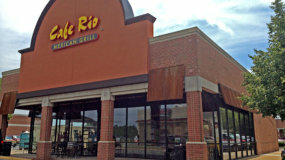 Find photos, videos and other Cafe Rio assets here.